A 2-month-old baby was found dead on Navajo tribal land in western New Mexico after being accidentally left in a car overnight in freezing temperatures. According to the Navajo Times, Navajo Nation Police are investigating the incident. The parents had called emergency services in Gallup at around 6 a.m. on Wednesday, Jan. 31. after noticing their infant was not in its crib. The parents’ names have not been released, the paper wrote, but it is known they live on Crestview Road, west of Gallup, New Mexico, on tribal territory. Authorities say the parents told emergency dispatch that they had forgotten to bring their child inside after returning home. The infant was left in a baby restraint seat in the back of the car as overnight temperatures dropped to freezing. 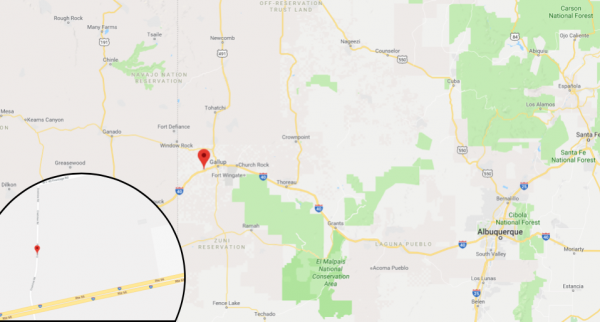 The parents were unsure whether the child was still alive as they transported their baby to the Gallup Indian Medical Center, according to the Navajo Times. En route on U.S. History Highway 66, they met up with firefighters and emergency crews, who examined the baby and pronounced it dead. At that point, the paper reported, the Navajo Nation Police launched their investigation into the infant’s death. According to Associated Press, the cause of the death of the baby has not yet been determined. It was reported he body was sent to the state Office of the Medical Investigator in Albuquerque.